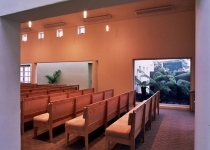 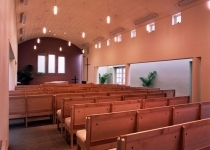 This chapel renovation is designed to emanate solidity and calmness. 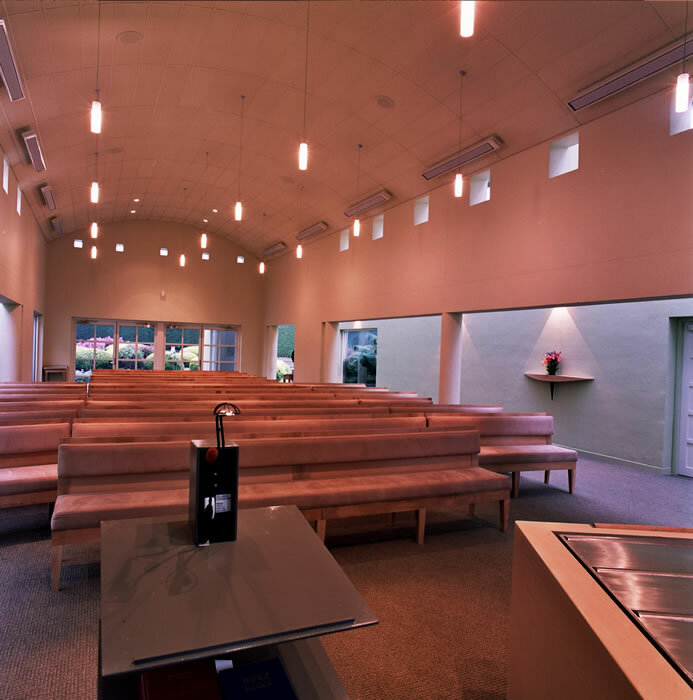 The existing condition of the chapel felt cold, damp and very uninviting. 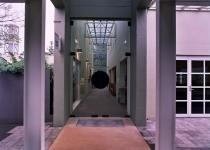 We were engaged together with an interior designer to design an extension and generate the right atmosphere and feeling. 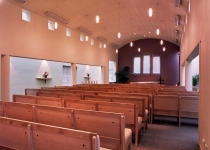 The building had to cater for people at a time of grief. 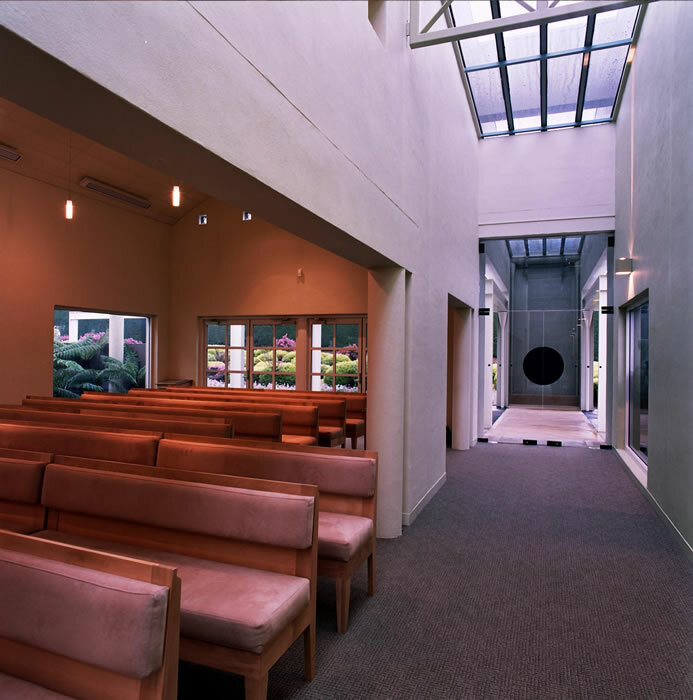 The chapel itself, deliberately avoids specific religious preferences so careful thought was taken to leave the building open to individual interpretation. 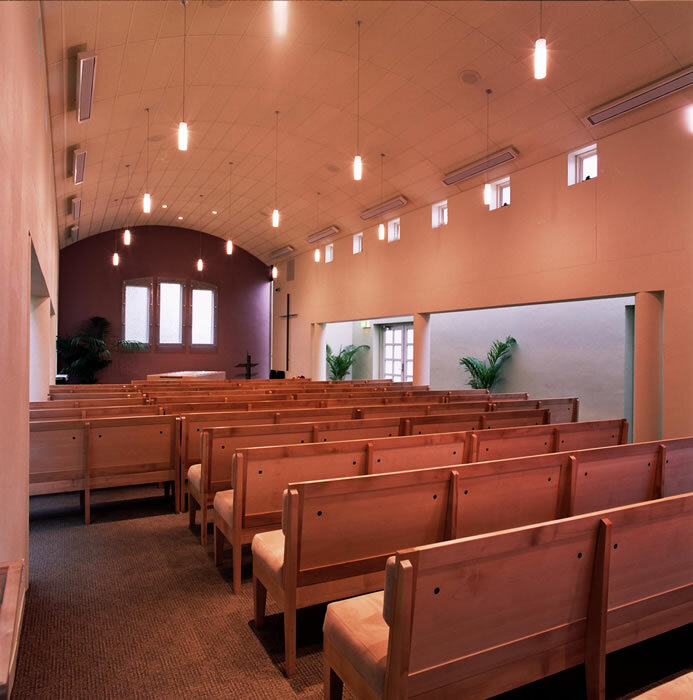 Visitors to the chapel feel comfortable with the warmth of natural timber pews, carpet and soothing hues to walls. 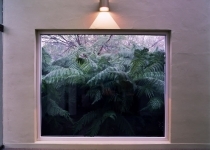 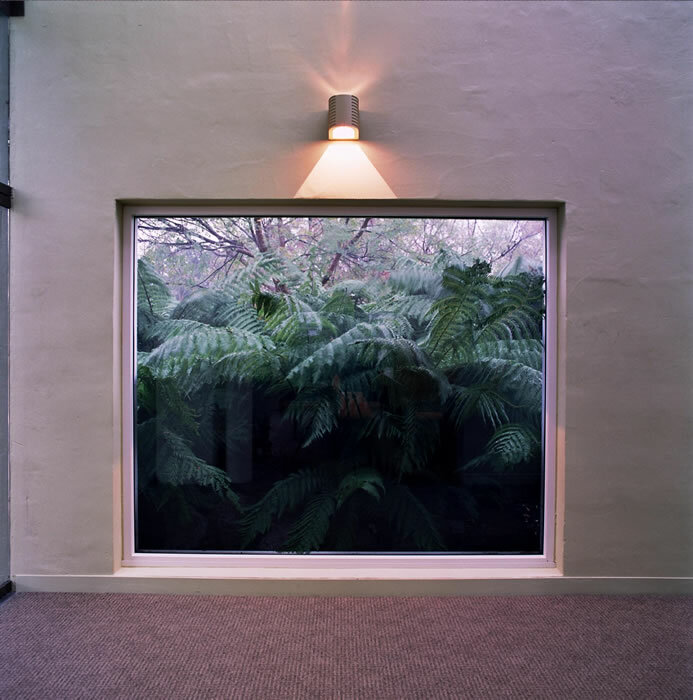 Excessive use of glazing enhances the feeling of openness and creates an interior that is light and airy. 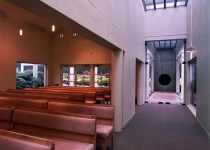 Curved slump glass features behind the catafalque, representing a water effect, make a sacred connection to cleansing and blessing. 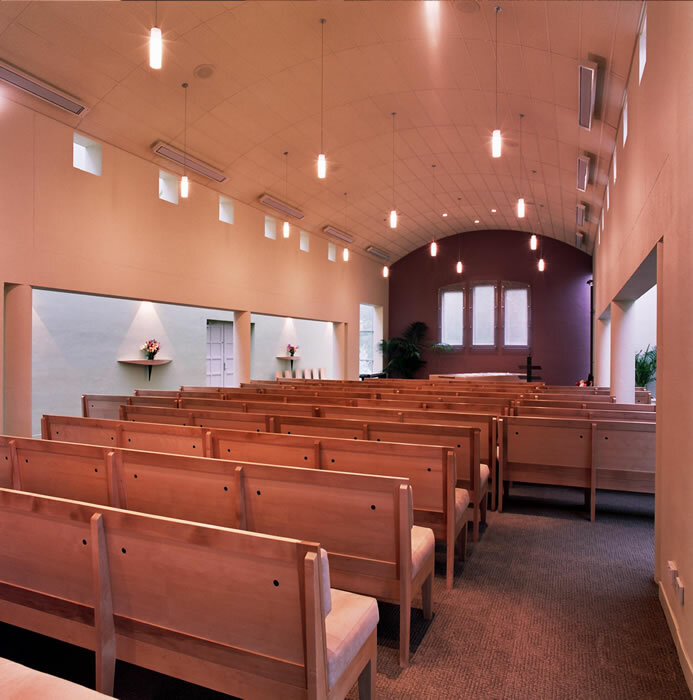 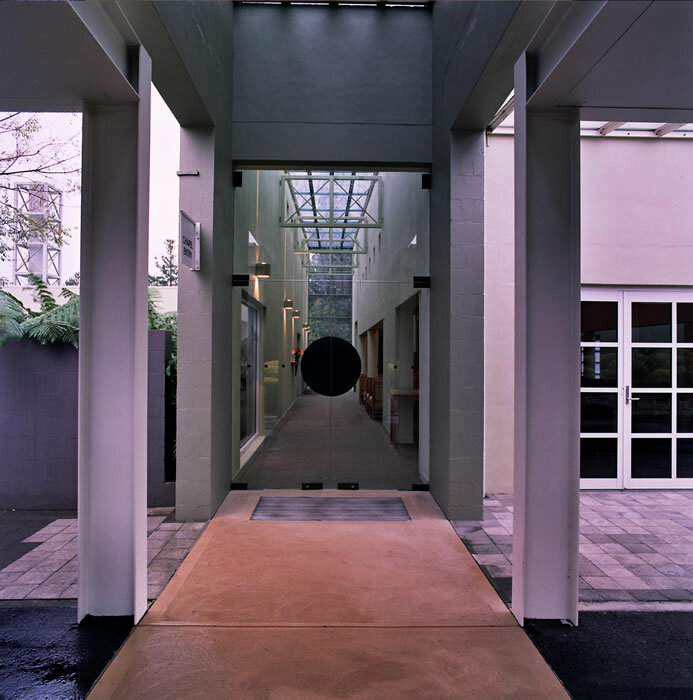 Soundproofing and acoustics have been modulated to create a more contemplative atmosphere and allow the services to be clearly heard. 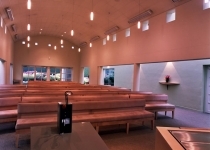 Lighting effects, especially the othello up/down beam wall light, have been used to create a warm special glow to the external walls to the chapel. 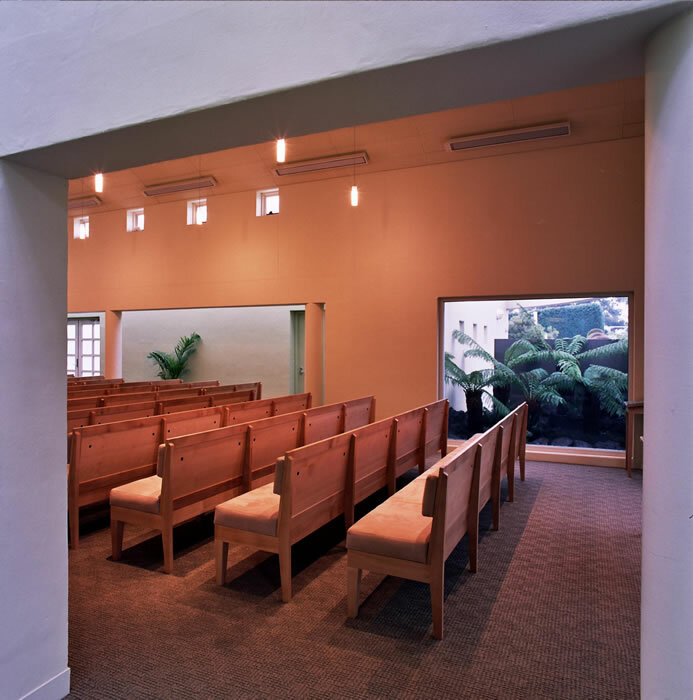 Garden areas either side of the main entrance give a natural and earthy welcoming acceptance and a reflective departure to the chapel visitors.